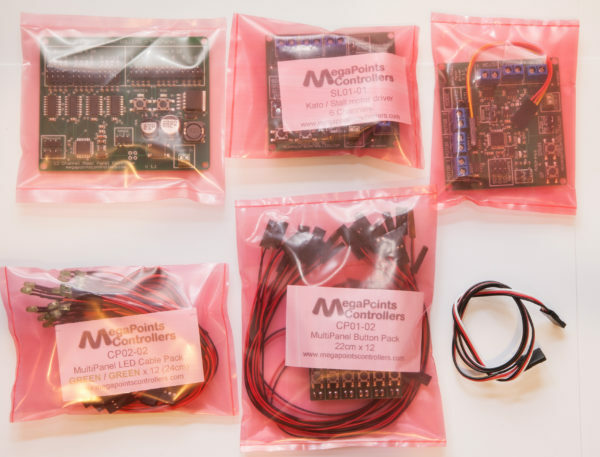 Mimic panel (MiniPanel) starter kit (Solenoid edition). 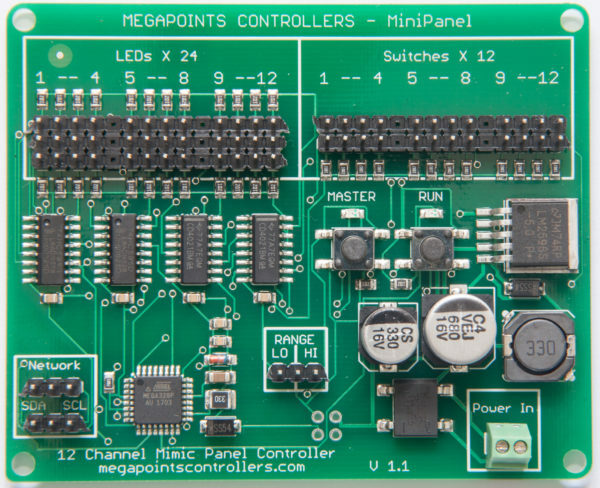 This is a simplified controller board for your mimic panel. 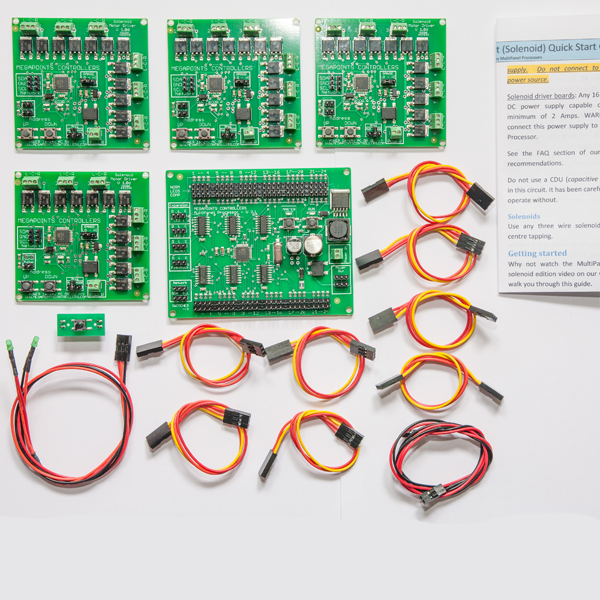 It is capable of controlling up to 12 devices using any combination of servos, traditional solenoid motors, Tortoise motors (stall) or Kato. 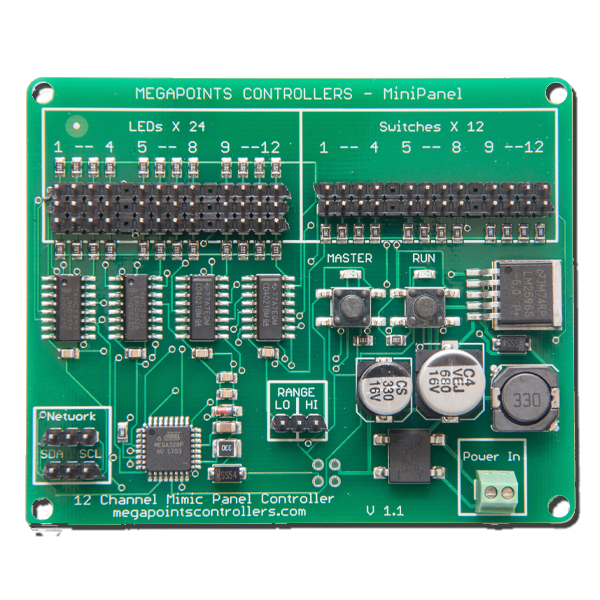 The MiniPanel manages the display logic to operate the LEDs and buttons on your mimic panel and can work with pre wired cable sets (plug and play) or your own custom levers and toggle switches. 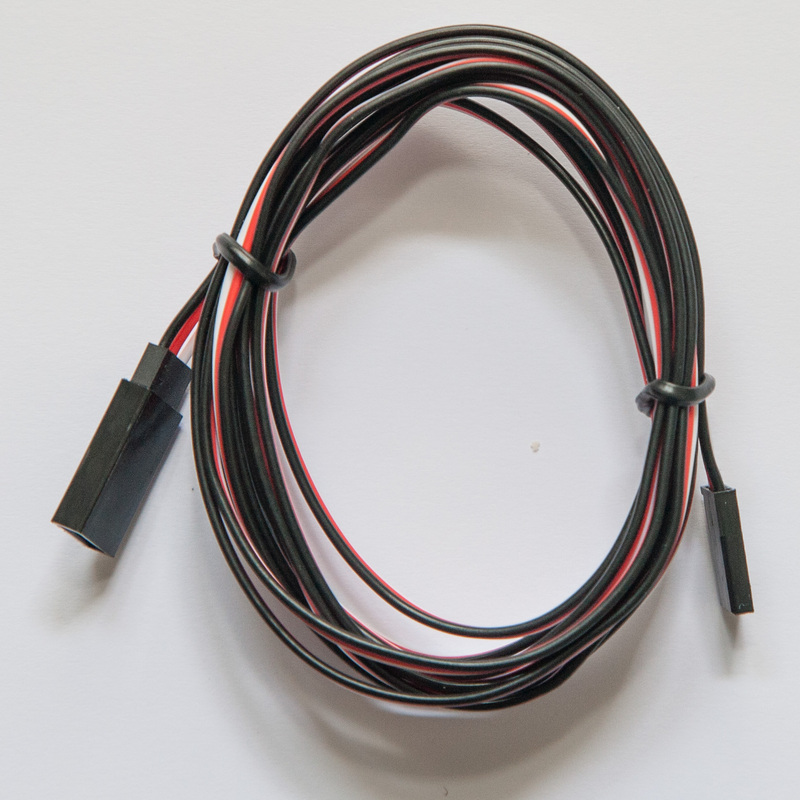 Suitable for both digital (DCC) and analogue (DC) model railways. 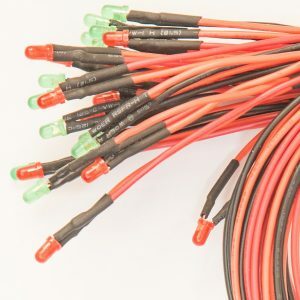 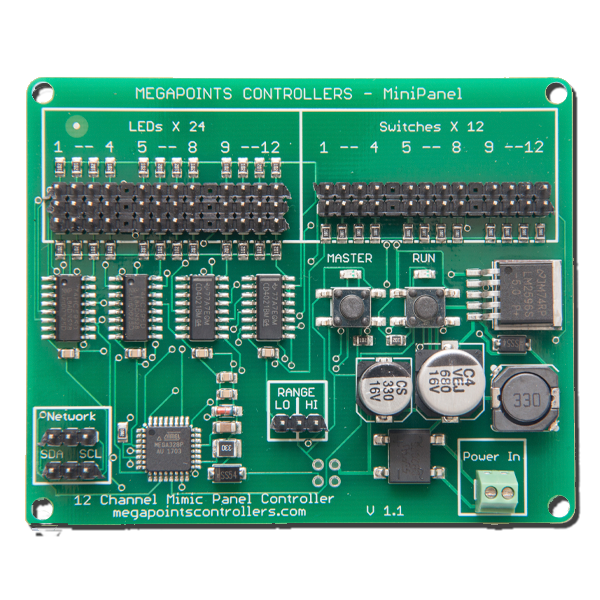 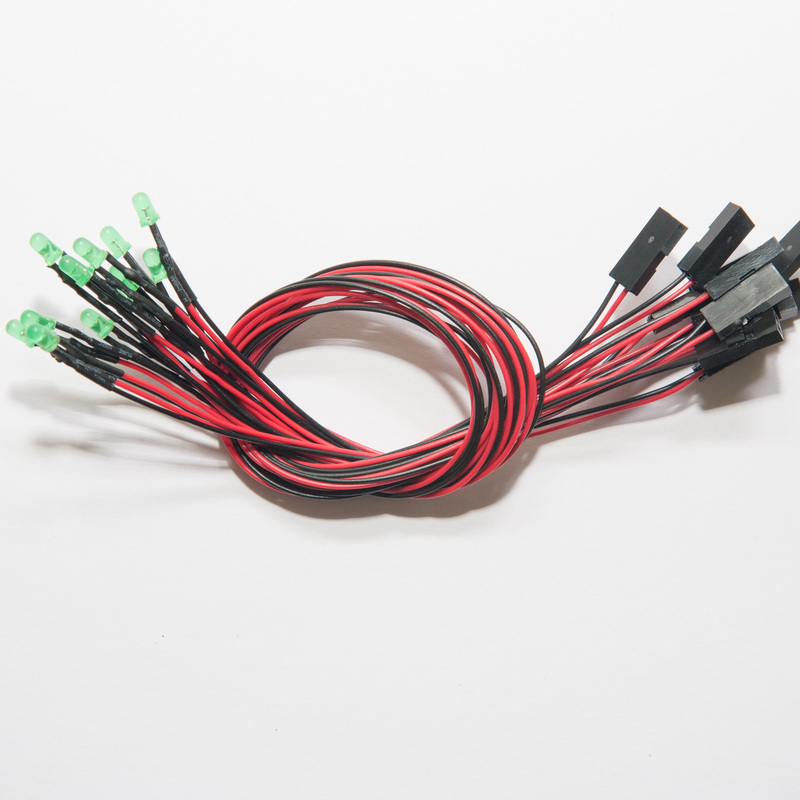 The MiniPanel connects to your layout controller(s) using a single cable and can also be controlled with our DCC module. 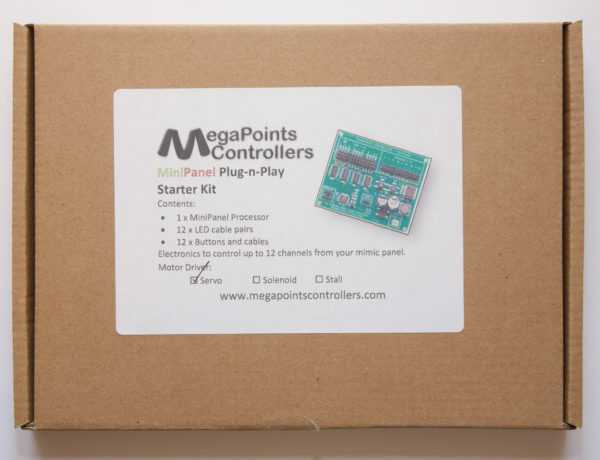 This is the starter kit edition (Solenoid) version. 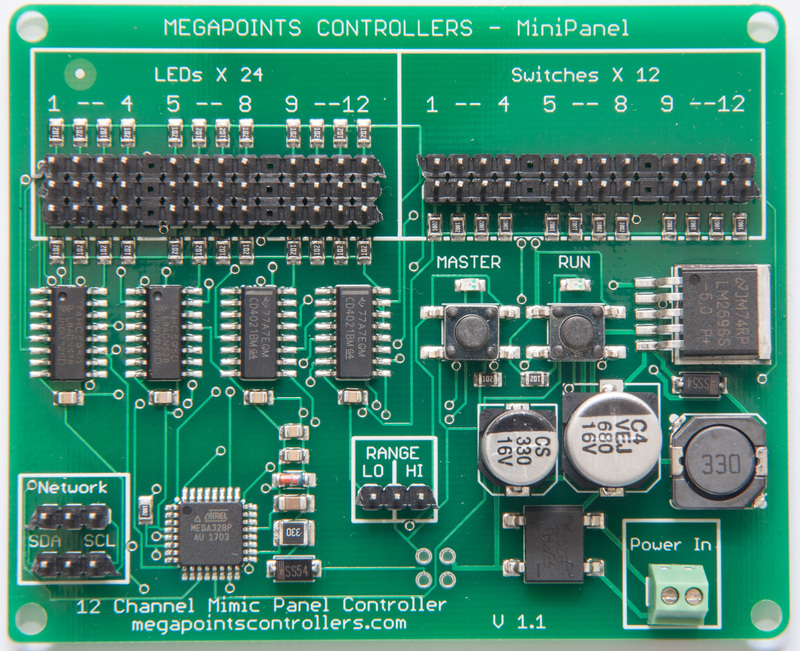 MiniPanel – Manufacturing – Coming soon!